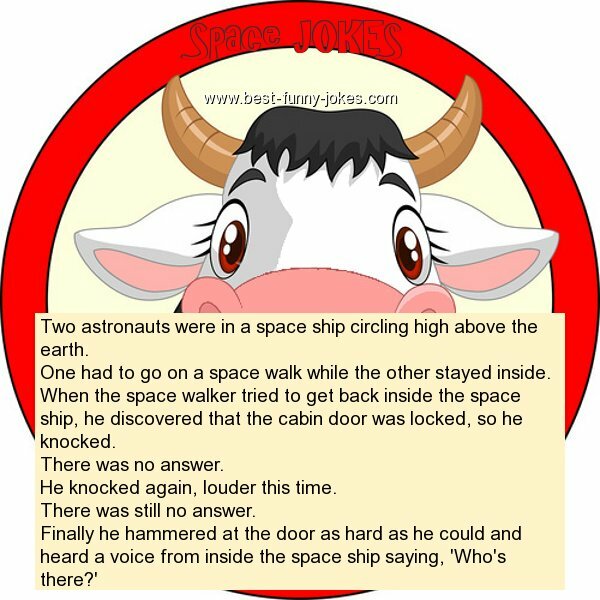 Two astronauts were in a space ship circling high above the earth. One had to go on a space walk while the other stayed inside. He knocked again, louder this time.